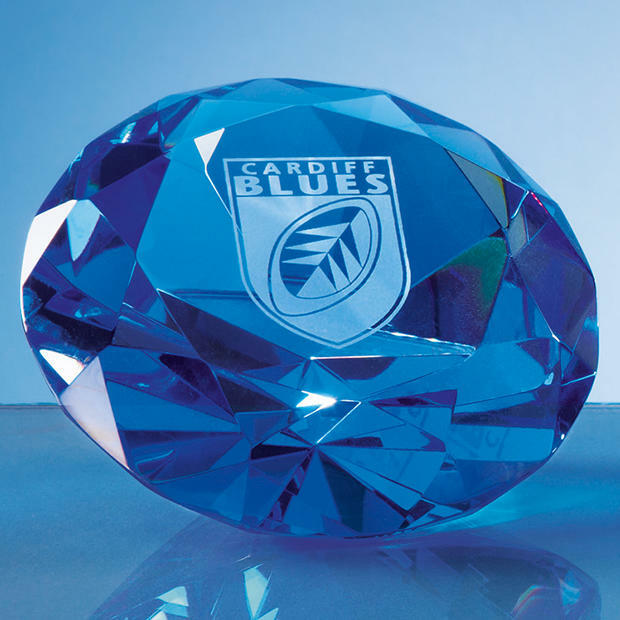 This Diamond Paperweight in optical blue gives a sparkling and colourful effect when light reflects off its hand cut and polished facets which are all around the paperweight. The flat area on the front of the paperweight is for engraving of your message and logo to make this paperweight truly suitable for corporate, sporting or personal events. Please note that prices shown do not include artwork, engraving, shipping or VAT.